The proposal for a Reformatory School for Roman Catholic Boys in the East Riding of Yorkshire was made at meeting in the De Grey Rooms in York on October 23rd, 1855, organised by the prominent Catholic layman, Charles Langdale, of Houghton Hall, near Market Weighton. The meeting was held just a few weeks after plans had been agreed to found the Castle Howard Reformatory, which was to be a Church of England institution. The committee setting up the Castle Howard Reformatory had agreed that Catholic priests would not be allowed visit Catholic inmates of the establishment. However, such boys would be willingly passed over to the care of a Catholic Reformatory. A suitable location for Langdale's scheme came in the form of property from the Vavasour family estates that had been given to the Catholic bishop of the Northern District, John Briggs. The site comprised 72 acres of poor farmland in the sparsely populated parish of Holme upon Spalding Moor. 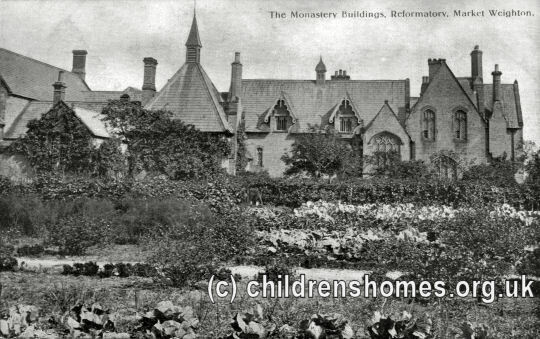 There had been a proposal to found a monastery there but since 1846 it had been home to an institution for training schoolmasters to teach at Catholic Poor Schools in Yorkshire. However, its remote location and unproductive land had made it difficult to attract or retain staff and the planned building on the site remained unfinished. For its use as a Reformatory, some additions and alterations were made under the direction of the building's original architect, Charles Hadfield. The modifications included the provision of dormitory accommodation, washrooms and the adaptation of the chapel for use as a dining hall. The Reformatory site is shown on the 1909 map below. Market Weighton Reformatory site, c.1909. On July 25th, 1856, the premises were officially certified for the reception of up to 42 boys who had been sentenced by the courts to a period of detention. Additional building work was carried out over the next few years, the capacity was increased first to 100 and then, by 1858, to 200. The institution was customarily designated as being located at Market Weighton, which was the nearest town and railway station. The School's first governor was Captain Bryan Stapleton. The first boy to be admitted was Joseph Skerritt, aged 16, who had been convicted at York of stealing a purse containing £7 and sentenced to five years at the Reformatory after undergoing a three-week spell in prison. Skerritt, whose father was presumed dead, lived in a Leeds slum with his mother who was a washerwoman. He could not read or write but appeared to do well at the School, training as a carpenter and leaving in 1861 to work for a joiner and wheelwright in Market Weighton. In 1857, the running of the Reformatory was taken over by the Institute of Charity, more usually known as the Rosminians, a religious order founded in Italy in 1828 by Antonio Rosmini-Serbati. The Rosminians had come to England in 1835 and were known for their educational work among the poor. On May 31st, 1857, charge of the Reformatory passed into the hands of Father Charles Caccia, previously the rector of a parish in Rugby, but with twenty years experience of looking after delinquent boys in Milan. He was assisted by several other Brothers, plus two secular appointments for the posts of tailoring trainer and farm bailiff. 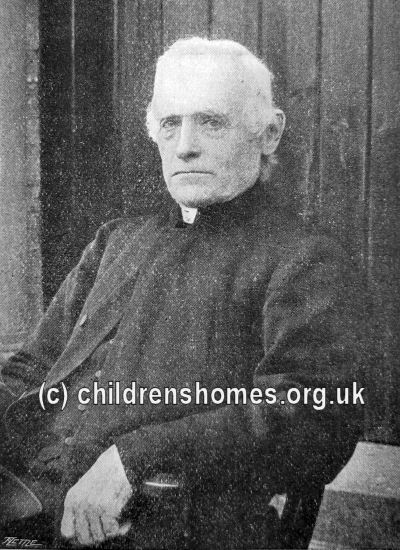 Father Caccia was the subject of criticism by Home Office Inspectors, such as the use of excessively severe punishments and a reluctance to allow boys release under licence. In 1865, Father Stephen Castellano was appointed as Caccia's successor, a post he was to hold forty years. Under Castellano's tenure, the range of trades was taught to the boys was greatly increased. To the existing occupations of tailoring, shoemaking, carpentry and agricultural work, were added stocking-making, book-binding and card matchbox making. A printing works was set up in 1885 with equipment costing £400 was eventually producing more than a million pamphlets a year. This was accompanied by the disposal of much of the School's farmland. Another innovation was the building in 1880 of a gasworks to fuel a new gas lighting system on the premises. Musical activity was encouraged through the formation of a fife and drum band. Like his predecessor, Father Castellano received critical reports from Home Office Inspectors. Washing facilities at the School were regularly described as inadequate, due in large part to the hand pump used to provide the establishment's water, but also perhaps reflecting Father Castellano's proud claim that he had never had a bath in his life. The medical care provided at the School was also regarded as being very poor. In September 1906, Father Castellano was replaced by the Rev. Charles Ottway. One of Ottway's first acts was to rename the establishment to St William's School for Training Catholic Boys. He also introduced a new uniform of plain cord knickers and a tweed coat. Despite these changes, admissions to the School began to decline, especially after critical reports were made on the state of the school by a visitor employed by the West Riding magistrates. Discipline amongst the boys was also found to be poor and excessive punishments were being administered. As a result, the School's management committee decided to hand its running to another order, the Brothers of the Christian Schools, also known as the De La Salle Brothers, after their founder St Jean-Baptiste De La Salle. The Brothers ran a number of other institutions, including the very well regarded St Joseph's Industrial School for Boys at Longsight, near Manchester. The first superintendent to be appointed under the new management was Brother Felix Lawrence Lee, who had previously been at Longsight. 1906 was also the year of the School's Golden Jubilee and was marked by a programme of celebrations. Brother Lawrence and his team of nine assistants introduced to St William's the principles that had proved successful at Longsight. The institution was given a more domestic character and the boys were not treated as criminals but as human beings worthy of trust and respect, with a more liberal regime of treatment. Home Office Inspectors recorded their pleasure in the resulting improvement in the conduct and demeanour of the boys. As time went on, the boys were allowed a little more freedom, with some of them allowed an outing into Market Weighton. 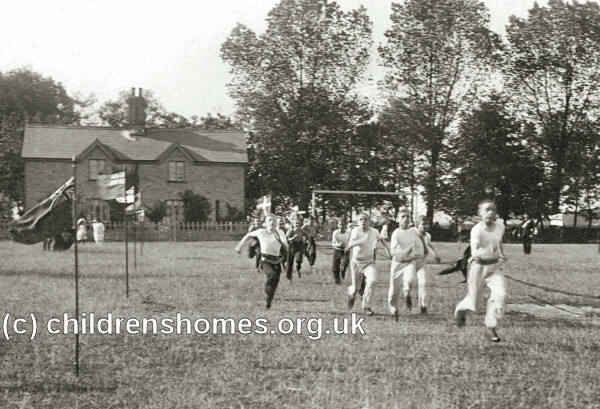 In 1915, boys with a good school record were allowed a summer leave visit to their homes. Although handful of the 95 boys given this privilege failed to return for various reasons, the experiment was judged a success. After Brother Lawrence retired in 1918, there were a couple of short-lived successors before Brother Finbar O'Moore took over in 1920. Under Brother Finbar, the regime at the School became even more relaxed, with doors and windows left unlocked and the dismissal of the night watchman. Boys were allowed to visit shops and the cinema in Market Weighton. 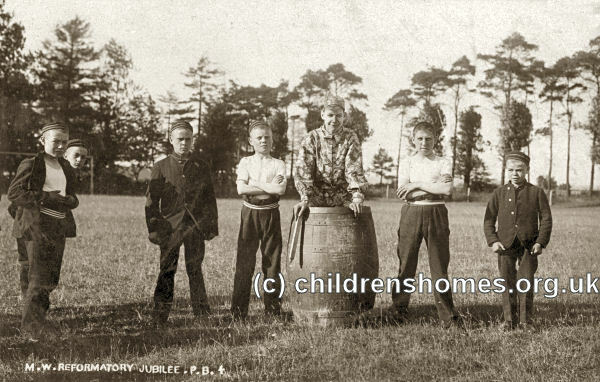 Corporal punishment was virtually abolished and a move was made away from the teaching of trades to the social training of the boys in preparation for their return to the community. In 1933, St William's became an Approved School for up to 220 Senior Boys aged from 15 to 17 years. 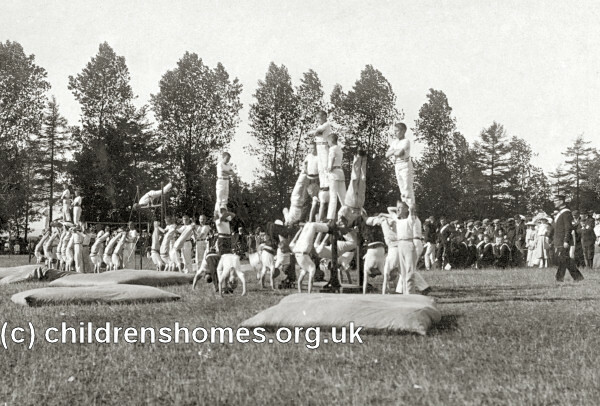 In 1947, it became used for Intermediate Boys, aged from 13 to 15, with practical training again becoming more prominent in the form of farming, carpentry and joinery. In 1966, the English Province of the De La Salle Brothers, who had run St William's since 1912, decided to withdraw from the School. It was then taken over by the Brothers' recently formed London Province, under the directorship of Brother Alan Reginald Stibbins who was a disciple of the American psychotherapist Carl Rogers. Brother Reginald, despite considerable resistance, was determined to introduce a regime based around Rogers' person-centred therapeutic approach, instead of the traditional authoritarian approach. The School's accommodation was also divided into smaller units and female staff employed for the first time. Another development was the setting up of a hostel at Newtondale on the North York Moors. In 1973, the School became an Assisted Community Home with Education (CHE), run in conjunction with the East Riding County Council. It was managed by the Middlesbrough Diocesan Rescue Society until 1982, and thereafter by the Catholic Child Welfare Society (Diocese of Middlesbrough). 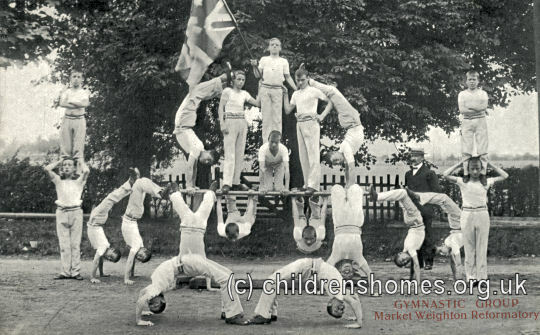 In 1986, an attempt was made to improve contact with the local community with the opening of a day centre, and offering the use of facilities such as the Home's swimming pool and gymnasium to local groups and individuals. In 1990 the headmaster of the Home, Brother James, was expelled from the Brotherhood after it was discovered he was guilty of systematic sexual abuse of boys in his care. In 1993 and 2004 he was convicted of numerous counts of serious sexual offences against boys over a period of 20 years. In February 1990, the De La Salle Brothers announced their intention to withdraw from the Home in the following August. The final closure of St William's took place in March 1994. The buildings no longer survive. East Riding of Yorkshire Archives and Local Studies, The Treasure House, Champney Road, Beverley HU17 9BA . Extensive holdings include: Admission registers (1856-1973); Photos of boys admitted (c.1856-1869); Report books (1910-1948); Medical registers (1909-1930); Punishment books (1913-1948); Register of absconders (1955-1975); Management Committee minutes (1855-1942); Visiting Committee minutes (1912-1951); Annual reports (1857-1921, with gaps); Photograph albums (1923-1936); Registers of baptisms, confirmations and burials (1849-1960).